I sold an item! What now? HipShipper allows drop shipping sellers from the USA to expand their business by shipping internationally with a simple fully automated and drop shipping oriented service. 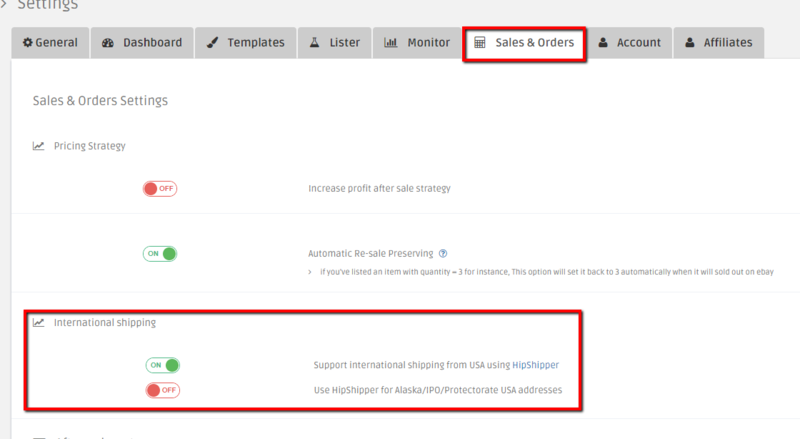 Once you enable HipShipper via your account settings, DSM will automatically send the details of every international order of a USA based buyer directly to HipShipper and set the buyer address to the relevant HipShipper warehouse. All that left for you to do is purchase the item and send it to the same address as you would do when you send it locally to one of your customers. Check our the DSM Auto Order to automate your international shipping process even further!